Chip Somodevilla/Getty ImagesFederal Bureau of Investigation Deputy Director Andrew McCabe. Current and former intelligence officials laid into President Donald Trump and his allies in the wake of FBI deputy director Andrew McCabe’s firing late Friday night. McCabe said in a statement that he was “singled out” and fired because of the events he witnessed after Trump fired FBI director James Comey last year. Another official, who currently serves in the FBI, said they were “shocked” and “not sure how to process” the news. 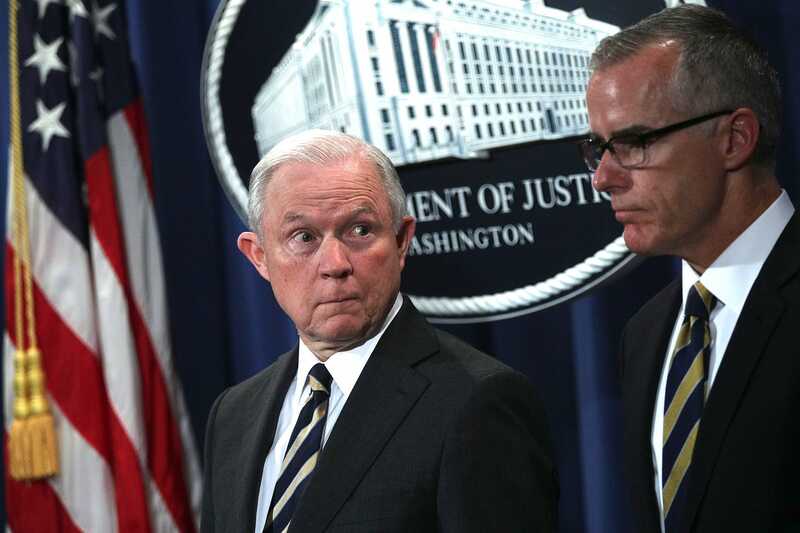 FBI deputy director Andrew McCabe was fired on Friday, one day before he was set to retire, prompting current and former colleagues in the intelligence community to defend him in a burgeoning battle with President Donald Trump and his allies. McCabe was forced out of the FBI earlier this year amid an internal investigation by the Office of the Inspector General. The inquiry looked into his approval of unauthorised disclosures to the media in October 2016 related to the bureau’s Hillary Clinton email probe. Montoya scoffed at Sessions’ conclusion that McCabe “lacked candor” while serving as deputy director. “EVEN if Andy lacked candor – and he said that wasn’t the case – one does not get fired one day before one is eligible” to retire, Montoya said. “I’ve never heard of that happening before in 26 years of service,” he said. “Andy’s been in a tough position during this whole thing, and even if he did what OIG and OPR are saying … he served the FBI with honour,” the agent said. McCabe’s ouster is significant because, like the removal or resignation of several other senior DOJ officials, it came following a string of public attacks from Trump, who accused him of corruption and bias. Gen. Michael Hayden, the former director of the National Security Agency and the CIA, also weighed in. Soon after McCabe testified, media reports surfaced which said McCabe told the committee he could corroborate former FBI director James Comey’s account of his conversations with Trump prior to his firing last May. Then reports emerged that the inspector general’s office would speed up the portion of its investigation into the handling of the Clinton email probe that related to McCabe. And shortly after, Trump referenced a Washington Post report saying McCabe planned to retire in early 2018, when he would be eligible for full pension benefits. 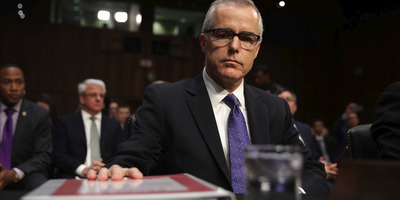 McCabe was one of three top FBI officials whom Comey apprised of his conversations with Trump, during which Comey said Trump asked him for his loyalty and to drop the FBI’s investigation into former national security adviser Michael Flynn.